At left CARTAC's Programme Coordinator David Kloeden and Marc Thill, Head of Cooperation at the EU's office in Barbados. The European Union has confirmed its participation in the 5th phase of the International Monetary Fund’s Regional Technical Assistance Centre in the Caribbean (CARTAC) over the period January 2017 to April 2019. 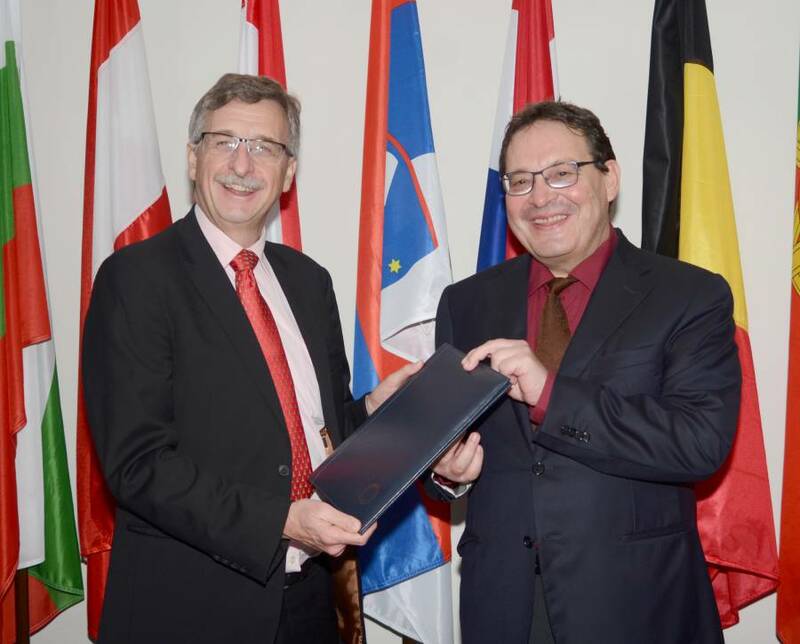 The EU, in agreement with the Caribbean Forum of the ACP States (CARIFORUM), has made a contribution of EUR 5 million from its Regional Cooperation Programme. CARTAC’s 5th phase continues to support capacity building in 20 Governments, and Territories across the Caribbean region with high-quality training and technical assistance in the areas of macroeconomic statistics, macroeconomic programming and analysis, public financial management, revenue administration, and financial stability and supervision. This capacity building enables the region to better address challenges such as low growth, large fiscal deficits, high debt and financial sector weaknesses. The EU has supported CARTAC since its establishment in 2001 with a total of EUR5.5 million. CARTAC is financed by the EU, the United Kingdom, Canada and the IMF, with contributions from its membership. CARTAC is hosted by the Government of Barbados. Worldwide, the European Union has contributed over EUR160 million to IMF capacity development since 2000.